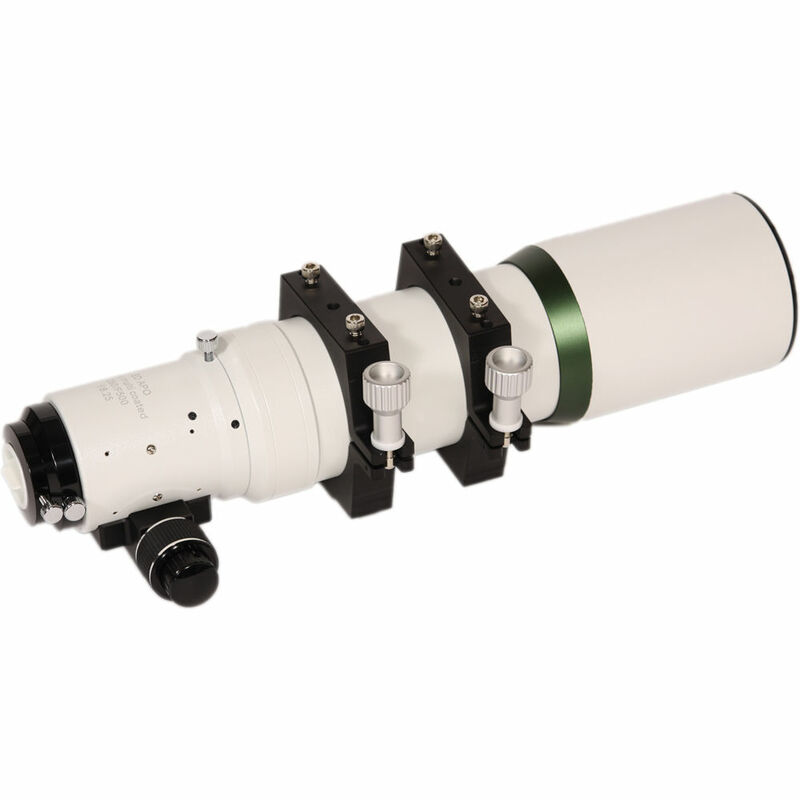 Designed for both observation and astrophotography/astroimaging with superior views of the Moon and planets, Olivon's ED-80 80mm f/6.25 APO Refractor Telescope features enhanced optical materials and coatings that improves light transmission through the entire optical path while virtually eliminating the two main causes of distortion common in refractor-style telescopes: chromatic and spherical aberrations. In correcting for these aberrations, images appear bright and clear with true color representation and virtually no distortion across the entire field of view. The scope's lenses are made from S-FPL53 extra-low dispersion (ED) glass in a apochromatic doublet configuration which corrects the chromatic and spherical aberrations. Utilizing anti-reflection fully multicoated optics minimizes light loss and increases light transmission so images appear bright and clear. To obtain the fastest and sharpest focus, Olivon employs their patented 2" 'Rack and Pinion Hybrid-Drive' focuser. This dual speed focuser has a fast coarse focus and a 10:1 ratio fine focus to get images tack-sharp. The ED-80 is offered here without a mount or tripod, but it does include mounting rings to attach a user-supplied saddle or dovetail plate. For transportation and storage, Olivon includes an aluminum carrying case with reinforced corners and edges and pre-cut foam inserts for the OTA and some accessories. Aperture 80 mm / 3.2"